When I hear Wismec and Reuleaux in the same sentence, my mind immediately jumps to the massive 200 watt powerhouse design of the RX200. 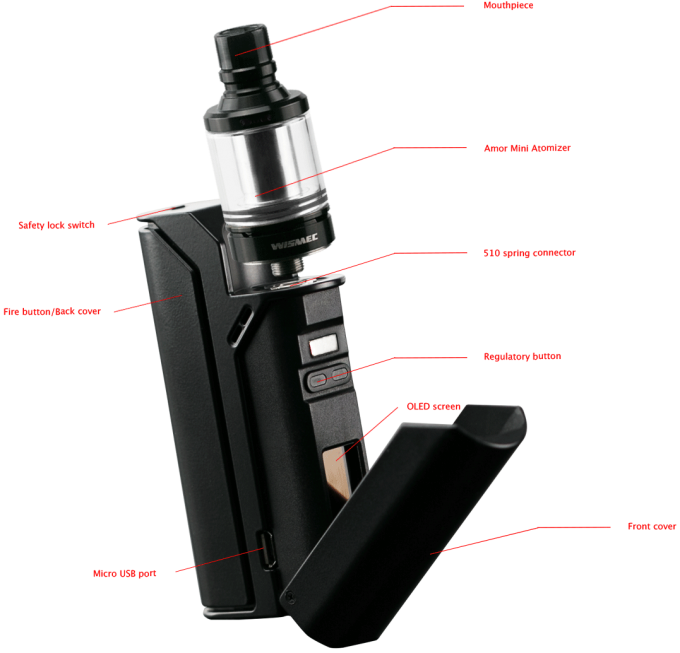 With its triple 18650 design, this has become synonymous with affordable high-powered vaping. 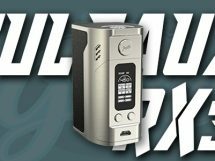 Now, Wismec has taken a stab at the lower wattage market with the Reuleaux RX75, and from what we can see, the results are not too shabby. Over the next couple of minutes, we are going to take our first look at this vape mod, figure out its features, and we’ll see if the RX75 will cause as much of a stir in the market as the RX200 did. It’s time to meet the latest edition to the Reuleaux family. Along with the recent edition of the updated RX200S, Jaybo (with inspiration from Vaping With Twisted 420) and the team have released a smaller, sleeker option for the masses. 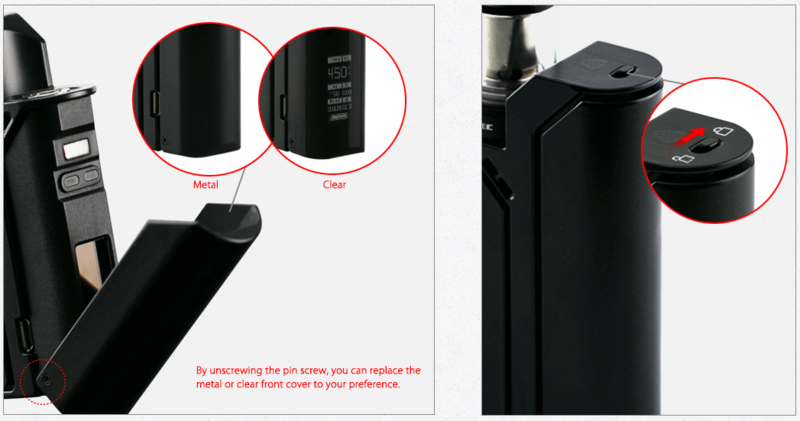 While the single 18650 design is still unmistakably Wismec, they have taken the design of this vape mod to an entirely different level. The RX75 has one feature that we have to at least mention, which is the fresh take on an invisible button. The whole back panel of the vape mod is essentially the battery compartment door and the switch rolled into one. They have also incorporated a safety switch at the top of the box to prevent accidental discharges, but it only works if you remember to flick the switch. From the outset, you have to explore the mod to find out where anything is. The front panel conceals the OLED screen and the adjustment buttons, making it all but impossible to accidentally change the settings while you are on the go. You have the choice between a solid metal or clear front plate, and to be honest, either option looks phenomenal. Not everybody is looking for 200 watts of power. This is an amazing, yet simple option for those who aren’t looking to carry around an extra pound of weight all day long. The RX75 is more than capable of working in temperature control or wattage modes, giving the options of Stainless Steel, Ni200, Titanium coils for TC, and plain old Kanthal for those of us who still do it old school. The by-pass mode listed below basically means you can use the vape mod as a mech. 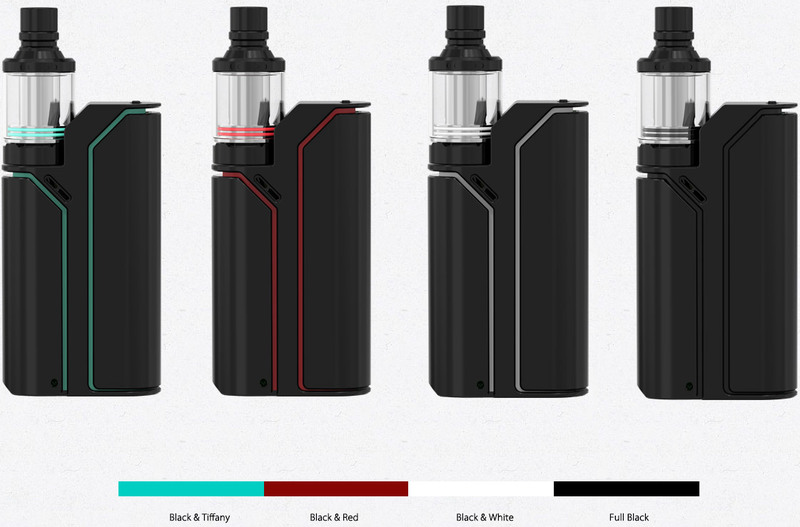 The kit also has the Wismec Armor mini atomizer, which as you can see from the images fits perfectly with the mod, especially if you have the color coördinated o-rings to match. Any 22mm RDA/RTA/RDTA will work perfectly with the RX75, but the one thing they have included comes with top filling and bottom airflow controls. 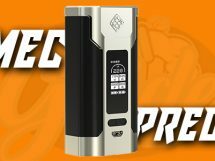 As Wismec continues to pump out high quality products, I for one have begun finding myself waiting in anticipation for the next design. Question. I just got the wismec RX75 kit yesterday. If I’m using 12 % nicotine liquid what temp and wattage do i need to set this bad boy at to keep it from getting too hot and working at peak performance for regular 60/40 blend. I believe there is a optimal wattage range printed on the side of the coil that you can go by. As long as you stay within that range, you’ll be fine. Now, if you’re using temperature control, it’s best if you start at a low temperature, then gradually work your way up until you get a temperature you’re comfortable with. However, most vapers usually stick somewhere in the range of 350-450 degrees. 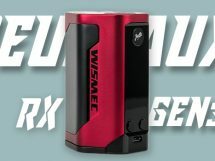 Hello, I did have a question not sure as to who would be able to answer is but I am new to vaping and just purchased the Wismec Reuleaux RX75 Kit. The lady at the store this would be perfect for someone starting out but Is there a specific VG / PG Blend I should be using? A lot of times it totally depends on the type of vaper you are and the tank that you’re using. Do you want as big of clouds as possible or do you prefer better flavor over clouds? If you prefer more flavor and less worries about creating a big vapor production, you’ll want to go with a lower PG percentage. However, if you’re into creating large clouds, you’ll want to go with a higher VG percentage. Most users keep it around 65% VG. You can also base your e-liquid thickness depending on the tank you’re using. 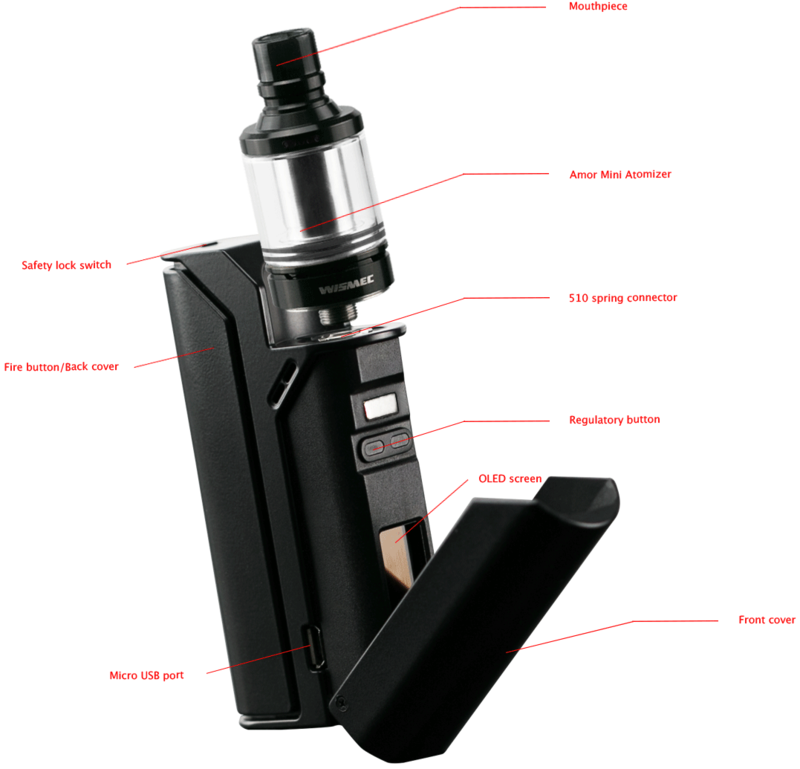 The tank that comes with the RX75 can handle higher VG e-liquids, but not as good as other tanks. For that tank, I would suggest 65% VG, but I strongly recommend that you don’t chain vape too hard or you’ll end up with a dry hit. If you want to go the safe route, go with 50% VG. And, just as a note, the more VG that’s in the liquid, the thicker the liquid will be. My only complaint with the mod (I did not get a kit with an atomizer), is using some RDA’s – their airflow holes are covered – my twisted messes 2 is OK, but my Nobu Naga mini has half blocked by the battery switch. All depends on how the threading-air flow line up. YMMV. Hi! Please tell me which tank will be the best to use on rx75 for huge clouds? Someone said that aspire clieto is best, but pls guide me. That means something isn’t making a proper connection. You don’t change the ohm’s… the coil that is installed in the tank has a set resistance. Ensure that the coil is screwed down all the way in the tank, then ensure that the tank is screwed down good onto the mod, but not too tight. If that doesn’t fix it, make sure that the 510 pin on your mod is making a solid connection with the male 510 connector on the tank. Trust me, it’s a connection issue.